Divorce and bankruptcy are close enough to be kissing cousins. Lots of times one follows the other. Financial troubles often are a major factor in the breakdown of a relationship. And if things were bad before the divorce, once the parties have to pay to operate two households instead of one, it’s even worse. The good news is that if the now-unhappy couple can get along well enough to file a joint bankruptcy, they can reap benefits not available in separate filings. Of course, this is not feasible for all couples. Cooperating in a joint bankruptcy filing after separating from one another is an undertaking that too often hits an emotional concrete barrier. What to do if your getting divorce and need bankruptcy? If you’re married and considering divorce, get information about bankruptcy BEFORE the divorce is final. If you and your spouse can get along well enough to file a Chapter 7 bankruptcy before your divorce is final, you can probably avoid paying the additional attorney fees and filing fees you would have to pay if you file bankruptcy separately. That can be a good chunk of change. Filing a Chapter 7 bankruptcy jointly, even while the divorce is going on, can be an especially good thing, because it can also make the divorce much simpler. No long billable hours trying to figure out who should pay which debts. Just chuck them all into the Chapter 7. Chapter 13 bankruptcy is, well, problematic for a divorcing couple. That’s because it requires the cooperation of the parties for the whole length of the Chapter 13 plan, which is at least three years and can be as long as five years. Who wants that long-term commitment to a transaction with a person you’re trying to get away from? 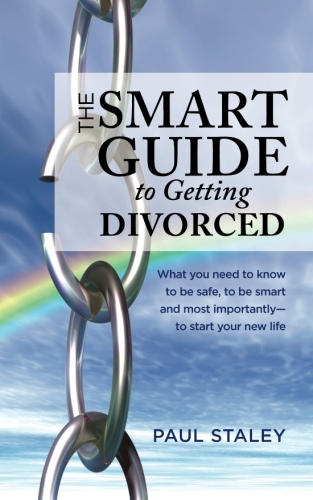 Paul never EVER counsels a client who is married-but-divorcing to file a joint Chapter 13 with the spouse. Chapter 13 bankruptcy happens when there is some really good reason not to file a Chapter 7 bankruptcy, or sometimes for other reasons. Mostly, it’s when the “debtor(s)” have enough income to live on and then some to live on. That “and then some” can be as little as $137.00 to push the debtor(s) into a Ch. 13. The disposable monthly income (DMI for short in bankruptcy lingo) goes to the Chapter 13 trustee who then pays what’s required to the creditors. Chapter 7 bankruptcy might just give the “community estate” enough relief for the couple to figure out if the other seemingly insurmountable problems in the relationship can maybe be resolved after all. Paul’s practice is limited to exclusively family law and bankruptcy. He has had the opportunity to work with the cross-over issues in hundreds of cases between the two practice areas. He is well enough practiced in these two areas to have attracted the attention San Diego County Bar Association. On September 10, 2013 he presented the monthly continuing education seminar (jointly with his friend, colleague and fellow musician, certified family law specialist Bruce Beals) the combined meeting of the Family Law and Bankruptcy sections of the SDCBA. One of the topics of interest was short sales. Paul reported to his audience that there seems to be an avalanche of short sales as couples divorce and no one can any longer afford the mortgage(s) and there is not enough (if any) equity in real estate to cover the loans if the property is sold. There can be unpleasant and unexpected tax consequences in short sales. You can read more about those consequences at http://www.bankruptcy-sandiego.com.